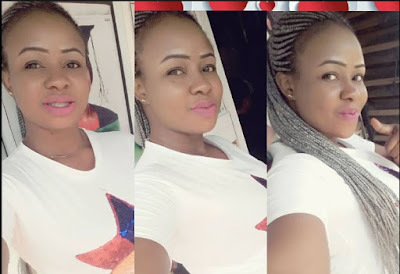 A family has been thrown into mourning, after their daughter, an undergraduate student of Auchi Polytechnic in Edo state died in a fatal road accident just days to her graduation. Miss Florence Ubuane, a final year student of the department of Office Technology and Management in the institution. 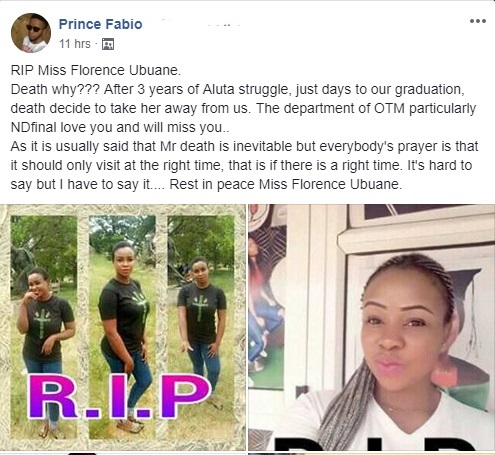 The sad incident happened three days ago while she was on her way to Auchi. One of her colleagues who has been left heartbroken by the tragic demise, took to Facebook to mourn the loss.